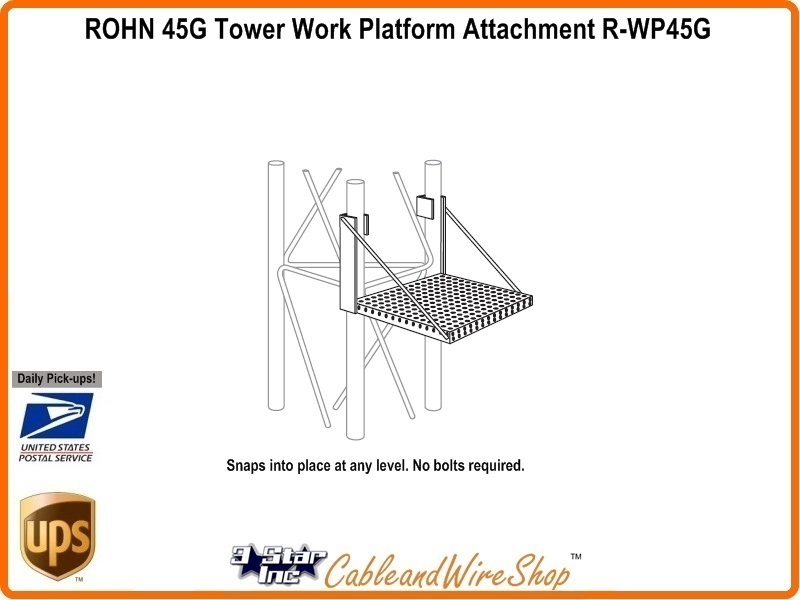 Note: See the ROHN SR245 Work Platform Safety Ring that Snaps in anywhere on a 25G and 45G Tower Section for Bolt-Free Mounting, that with this WP45G, provides a more Safe Work Environment. American Steel. Buy ROHN, Buy American.